A RestApiSource is a QueryBasedSource which uses RESTful Api for query. RestApiExtractor is a QueryBasedExtractor that uses REST to communicate with the source. To establish the communication, a RestApiConnector is required. A RestApiExtractor sets up the common routines to query information from a REST source, for example, extractMetadata, getMaxWatermark, getSourceCount, getRecordSet, which are mentioned in chapter QueryBasedSource. 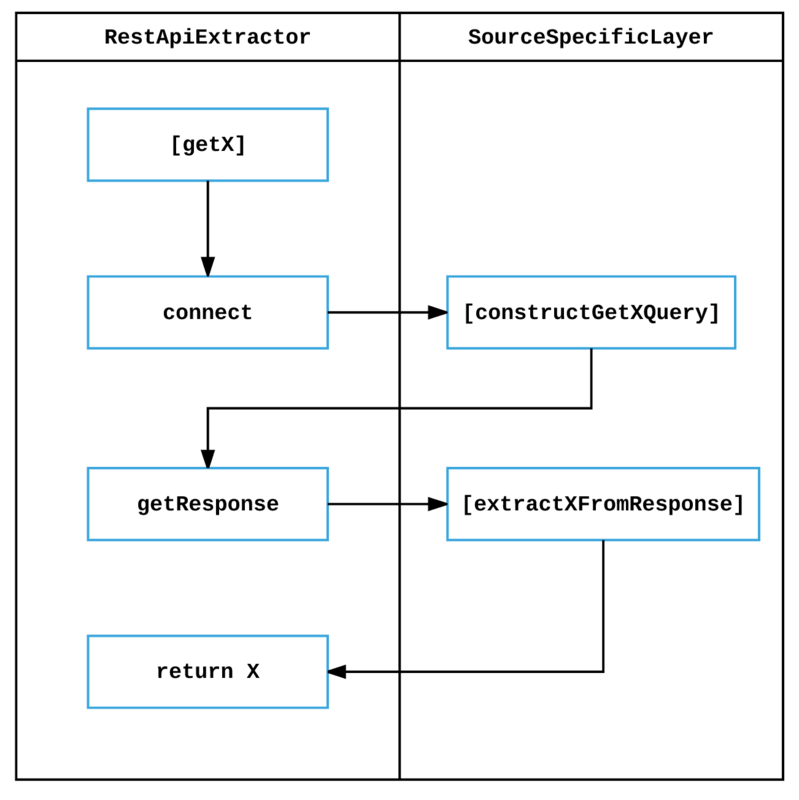 In terms of constructing the actual query and extracting the data from the response, the source specific layer holds the truth, for example, SalesforceExtractor. source.querybased.query Optional The query that the extractor should execute to pull data. source.querybased.excluded.columns Options Names of columns excluded while pulling data. extract.primary.key.fields Optional List of columns that will be used as the primary key for the data.